Successfully Added Cell Phone Jammer Picture Frame (CDMA, GSM, DCS, PHS, 3G) to your Shopping Cart. 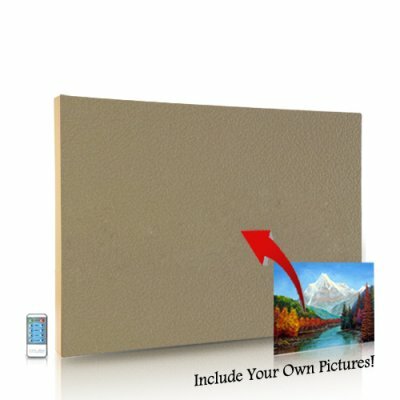 Stick your favorite painting on this Cell Phone Jammer Picture Frame and you can covertly and completely block mobile phone signals (CDMA, GSM, DCS, PHS, 3G) in a 40 meter radius. Did you know that the Mona Lisa in the Musée du Louvre is in fact a cell phone jammer? Of course I am kidding, BUT, with our Cell Phone Jammer Picture Frame (CDMA, GSM, DCS, PHS, 3G), you can turn your Mona Lisa at home into one! Powerful and effective, this Cell Phone Jammer effectively disables any cell phone and stops all signals on the GSM, CDMA, DCS, PHS, and 3G bands without interrupting any other electronic device. With the included remote control, users can turn the device on and off for instant jamming and unjamming. Also included is sensitivity control for partial and selective blocking of any mobile phone signal. The Cell Phone Jammer Picture Frame is customizable with any painting, print, photo, or poster you like on top of it for a unique product that will effortlessly blend in with (and easily mount on) the wall of any location where a phone call would be particularly disruptive, such as churches, hospitals, libraries, museums, movie theaters, class rooms, business meetings, and even legal proceedings. This unique and high powered Cell Phone Jammer Picture Frame (CDMA, GSM, DCS, PHS, 3G) is available in our warehouse now for single and bulk order purchases. Order today and we'll express ship it out tomorrow. Brought to you at an amazing low price by the online leader in electronics, Chinavasion. Customizable display with any painting, print, photo, or poster of your choice! Turn jammer ON/OFF with remote control, which can also adjust jamming power. Please do not put the jammer in high voltage and high magnetism locations. Light and portable - easy wall mounting. No harm to human body or other electronic devices.